The Turkish baths (or hamams) are well-known for the amazing effect and traditional style, as well as for making your skin soft and relaxing your mind and body. Istanbul is the best place to enjoy this experience and to discover the wonders of Turkish lifestyle. During winter, this is a good opportunity to warm your body while in summer this is the best energizer to invigorate you. The hamams are a tradition and a relaxing break at the same time. You can choose a massage, a scrub, only a bath or all of them. Piece of advice: take soap and a towel with you, because you have to pay extra if you use the ones that they offer and usually the quality is not the best. In Istanbul, there are more than 100 places where you can enjoy a relaxing Turkish bath. Anytime is a good time to relax and most of the places are open starting with 6 a.m. until midnight. Tourists and locals, anyone who wants to relax and enjoy a traditional Turkish experience. Because we all need a timeout, a moment to stop and enjoy life as it is. 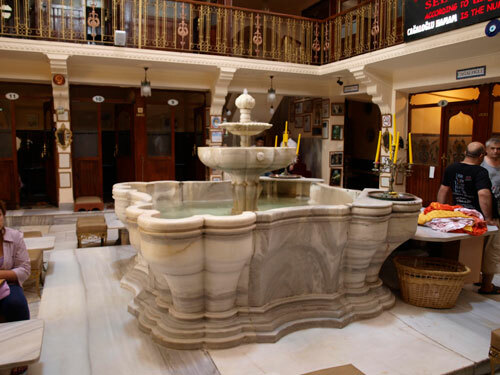 The Turkish baths are known as one of the best moments to relax the mind and the body. Are you looking for an apartment in Istanbul? Find it here: http://www.shortstayapartment.com/apartments/istanbul .